The European Movement in Northern Ireland (EMNI) has welcomed the prioritisation of the Northern Ireland issue following the first round of Article 50 negotiations with the EU and the UK. “We agreed that our closest collaborators will start a dialogue on Ireland. The protection of the Good Friday agreement and the maintenance of the Common Travel Area are the most urgent issues to discuss. We also agreed on the importance of timing for this first phase. The new Irish Minister for Foreign Affairs, Simon Coveney has also said that Ireland will not approve of any deal on the negotiations unless it guarantees the full protection of the Good Friday Agreement and the peace process. 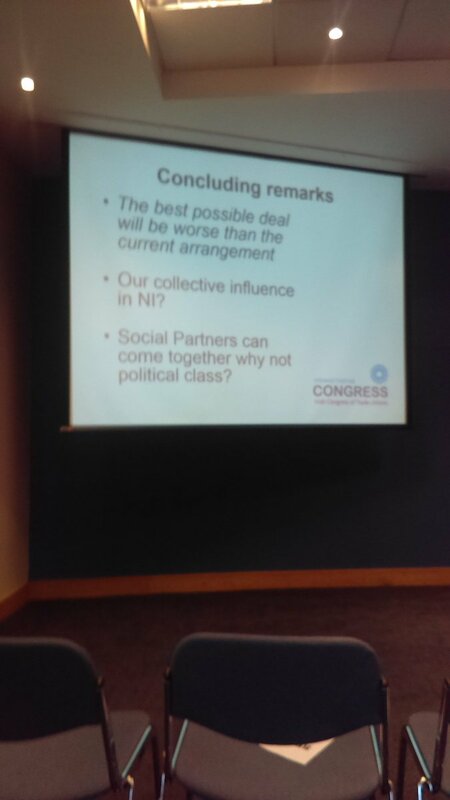 “In the second week of June EMNI attended a number of events in Belfast and Dublin and it is clear that there are real concerns from across the voluntary sector, agri food and other businesses, the health, trade unions, third-level sectors among others. “It is essential, especially since it lacks a majority, that the UK Government opts for the same level of transparency as the European Commission. Let us not forget that the outcome of Messers Davis, Fox and Johnston promised was more money in the public purse, less red tape, and no restrictions on free trade.